The NDP’s Notley said that since the United Conservative leader won Tuesday’s Alberta election, Quebec has rebuffed his public pitch to accept new pipelines and the B.C. government officially endorsed this week a federal bill to formalize a tanker ban off its northern coast. “What it does demonstrate is it’s not as simple as having press conferences and expressing people’s outrage over and over,” Notley told reporters after meeting with Kenney at Government House. “This is a complicated country. It involves considered diplomacy and strategic pressure in a thoughtful way. Kenney, a former federal Conservative cabinet minister, won a strong majority in the election on a get-tough policy toward any and all oil and gas opponents. He has long criticized Notley’s government as an enabler of federal policies detrimental to Alberta’s oil and gas industry. He said the NDP’s passivity was deliberate to gain federal approval of the Trans Mountain pipeline project, which got the green light in 2016 to ship more Alberta oil to the B.C. coast but, due to legal challenges and reversals in court, has yet to see shovels in the ground. Kenney has promised to fight Prime Minister Justin Trudeau in court on multiple fronts, including the federal carbon tax, and has promised to do what he can to get Trudeau defeated in the fall national election. Notley said she discussed a number of issues with Kenney on Thursday, including Bill 12, which Notley’s government introduced and passed but never proclaimed into law. The bill gives Alberta power to restrict oil shipments to B.C. if that province continues to resist Trans Mountain. 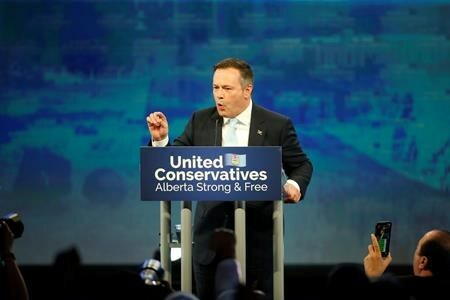 Kenney has said the first act of his government will be to proclaim Bill 12 into law to send a strong message that Alberta will protect its oil and gas. Legal experts say it’s also a move that could give B.C. the opening it needs to successfully challenge the bill’s constitutionality in court. 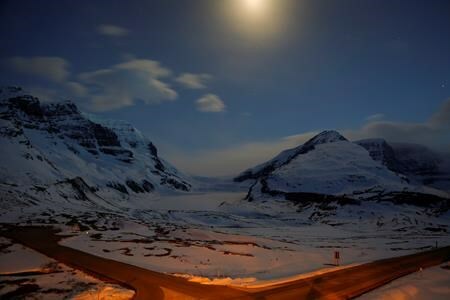 Notley said Kenney’s promise to lift her government’s cap on Alberta oilsands emissions could also threaten Trans Mountain approval, given the cap was a key reason why Ottawa approved the multibillion-dollar project in the first place. Kenney has said his approach will be one of cooperation and diplomacy with all political leaders, but that he will leave no doubt about Alberta’s determination to stand up for its bread and butter industry, particularly against those who benefit from it while opposing its growth. As part of that fight-back plan, Kenney has pledged to create a government communications “war room” to challenge oil and gas opponents and those who spread misinformation about the industry. It will have an initial budget of $30-million, Kenney said Thursday, and it will be staffed with communications professionals who are creative and, more importantly, nimble and quick to fight rhetorical fire with fire. “Both the industry and governments of different partisan stripes have not been fast enough to respond to the incoming attacks,” said Kenney. Kenney and his new government are to be sworn in April 30, with a spring legislature sitting starting a few weeks after that. Notley is staying on as Opposition Leader, but wouldn’t say Thursday whether this will be short-term while a successor is groomed or if she plans to stay the full four years and lead the NDP into the next election. “That’s a little bit premature,” she said. TORONTO — Ontario’s constitutional challenge to Ottawa’s imposition of a carbon charge was left in the hands of five Appeal Court justices on Thursday after the hearing wrapped up with each side pressing the court to find in its favour. The judges, who peppered the various counsel with questions throughout the proceedings, reserved their decision. Over the course of the four-day hearing, Ontario’s highest court heard warnings about the dangers of unchecked greenhouse gas emissions. Indigenous groups, for example, stressed their vulnerability to global warming they said could destroy their way of life. Federal lawyers argued the act is a legitimate response to potentially catastrophic climate change. The act, which only applies in Ontario, New Brunswick, Manitoba and Saskatchewan — four provinces Ottawa says don’t meet national standards — imposes a levy on gasoline, other fossil fuels, and industry. The law, federal lawyer Sharlene Telles-Langdon said, would not result in an expansion of constitutional powers that would give Ottawa carte blanche to regulate issues that fall squarely within provincial jurisdiction — a claim made by Ontario and its supporters. The federal government maintains the levy in Ontario — currently four cents a litre on gasoline — is a regulatory charge designed to change behaviour in favour of lower greenhouse gas emissions. Ontario calls the charge an illegal tax — another violation of the Constitution — a position it repeated in final submissions. In all, 14 interveners — among them some provinces, Indigenous groups and environmental and business organizations — lined up to defend or attack the federal law, with most siding with Ottawa. One supporter, British Columbia, argued the act does not prevent provinces from adopting their own approaches to climate change. For its part, Saskatchewan, which is awaiting its own Appeal Court ruling on a similar challenge, maintained the Liberal government in Ottawa was using a “big stick” to force its will on four Conservative provinces for purely political reasons. 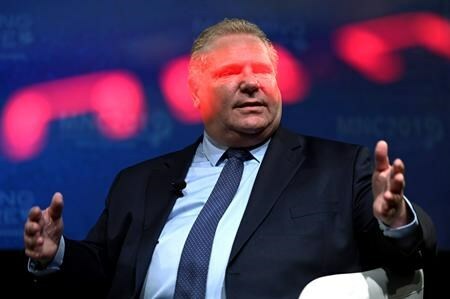 While the intricate constitutional issues at play over federal and provincial division of powers and Ottawa’s ability to levy the carbon charge were fought in the legal arena, some observers said the case was as much about politics and ideology as it was about law. It will likely take several months for the judges to rule.